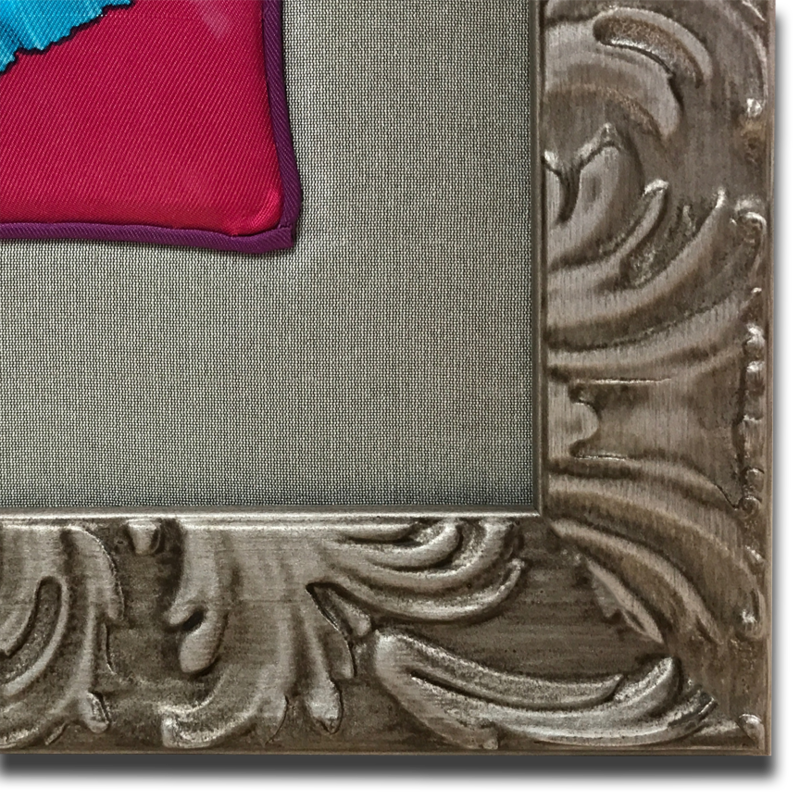 Framed Hermés Parures de Samourais silk and twill scarf framed in a Larson-Juhl Simpatico Dark Silver frame on a padded base of Aisa Silver Poly Dupioni. The scarf is depressed into the padded backing by the Optium Museum Acrylic glazing. 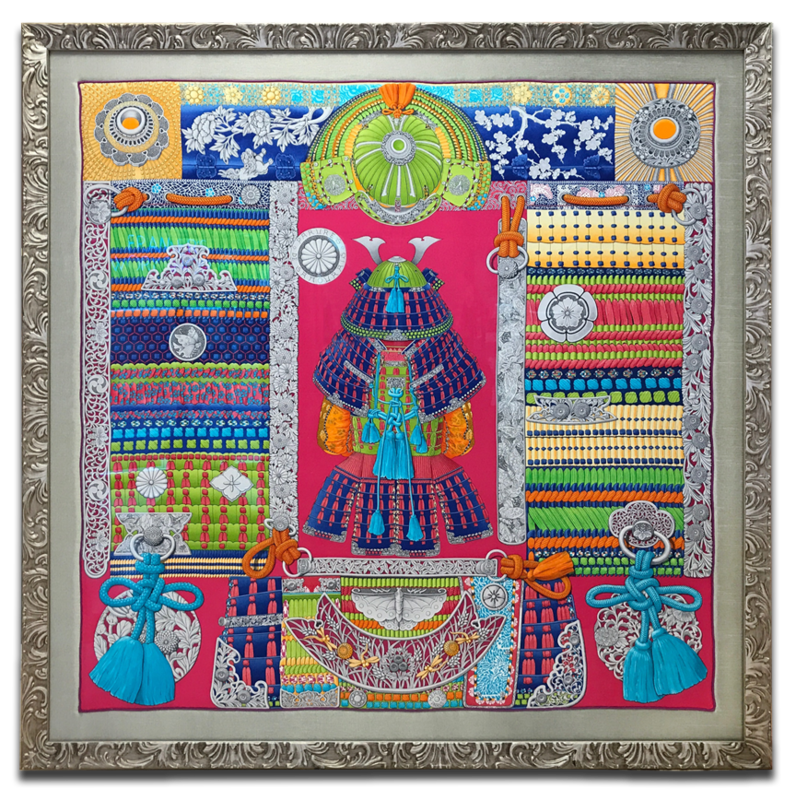 The scarf is an an extraordinarily detailed design by artist Aline Honoré — inspired by ornamental details, floral motifs, and clan coats of arms worn by medieval Japanese samurai warriors, during the 14th to 18th centuries.